We originally visited this site in August 2015. 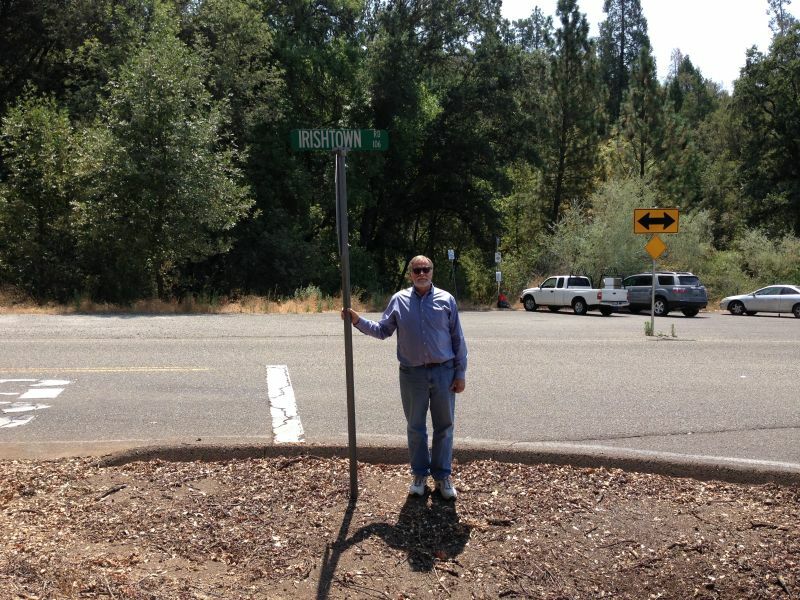 After reading in SIERRA NEVADA GEOTOURISM that the Plaque was located: "on State Hwy 88 (P.M. 20.8) at Pine Grove Wieland Rd, 2.2 mi SW of Pine Grove", we went back for a re-visit. "Today, where Irishtown used to be, is part of the community of Pine Grove." 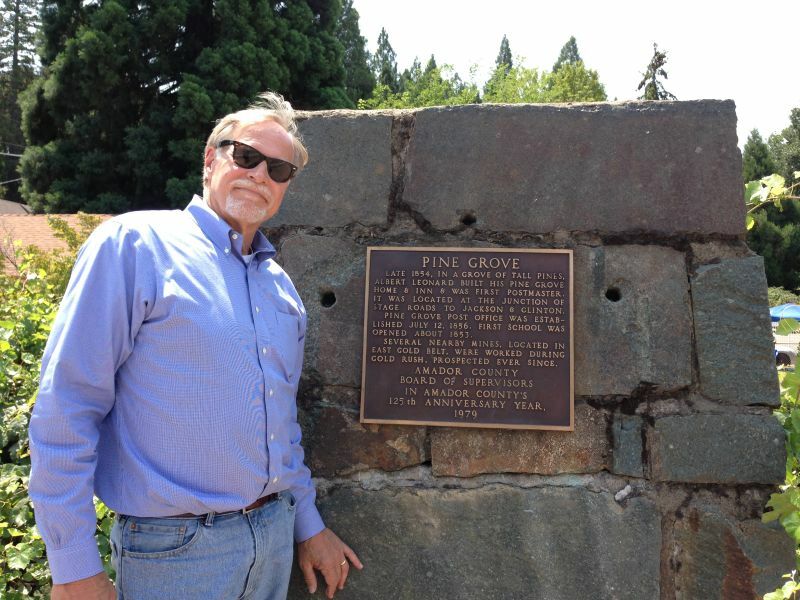 ~~~~ Sure enough, the stone marker is there, but the State Plaque is gone. You can still see the holes from the bolts that held it in place, as well as a faint outline of the state plaque. 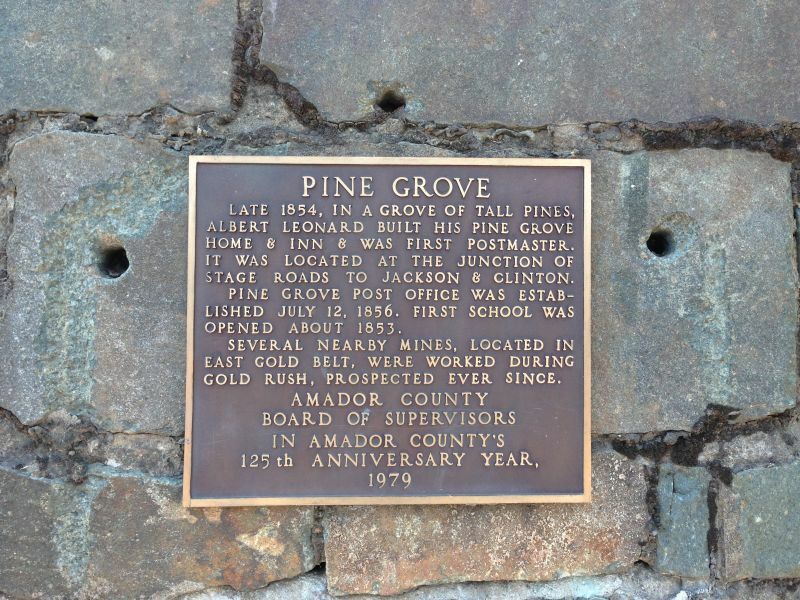 A new private plaque for Pine Grove has been mounted in its place. NO. 38 IRISHTOWN - You can still see the holes for the bolts that held the state plaque.